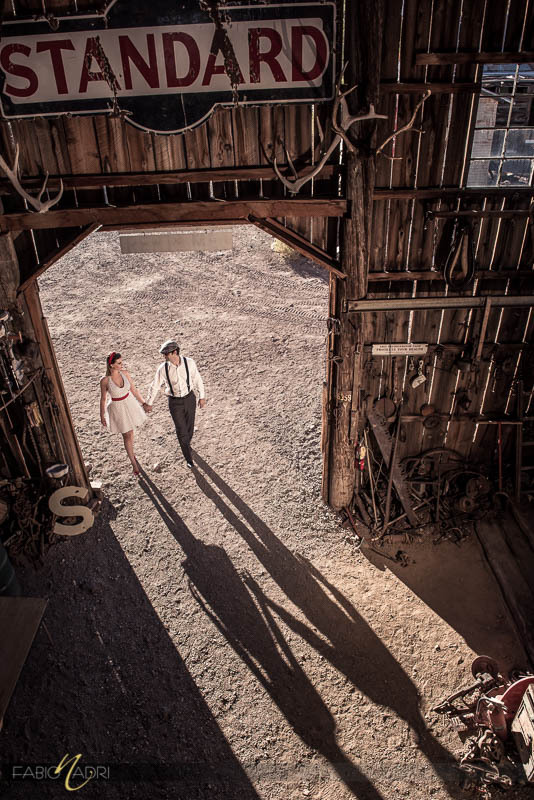 “My mom would immediately start dusting off this place” – Andrigo said after first walking into one of the old barns at Nelson Ghost Town, in Eldorado Canyon. 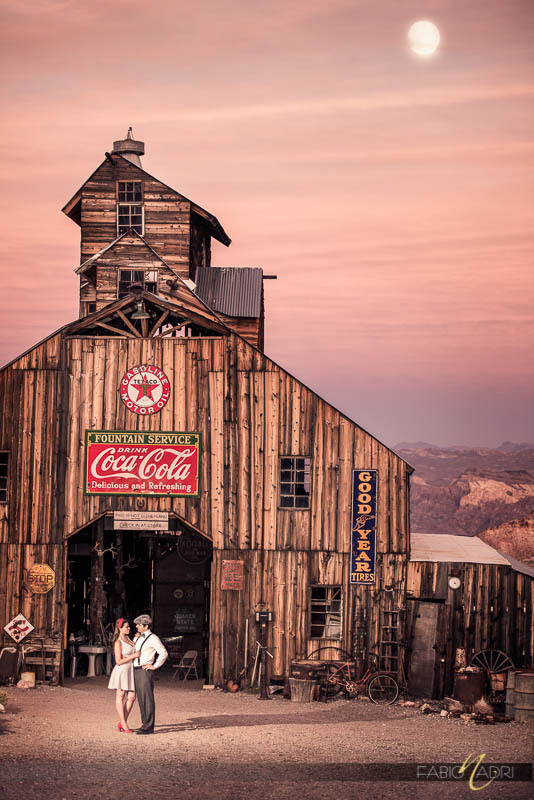 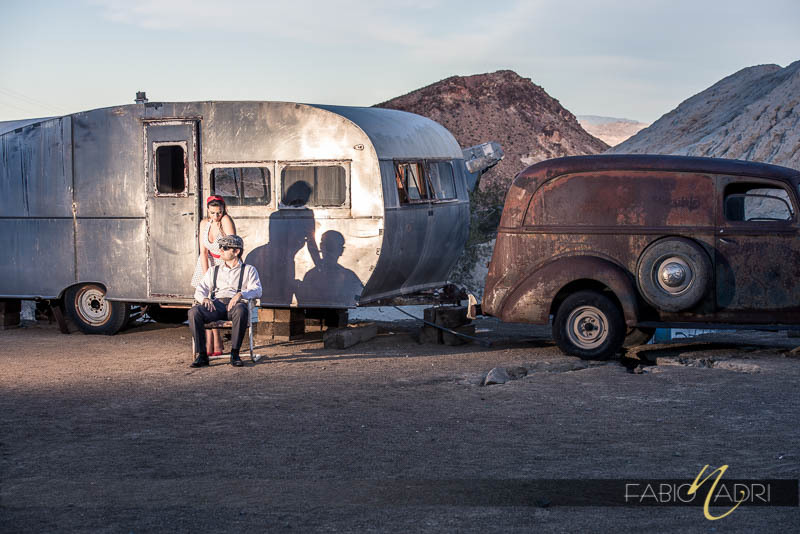 This place truly offers a window into the past with its dated rusty vehicles and dusty antique pieces, which can be found just about anywhere you land your eyes on. 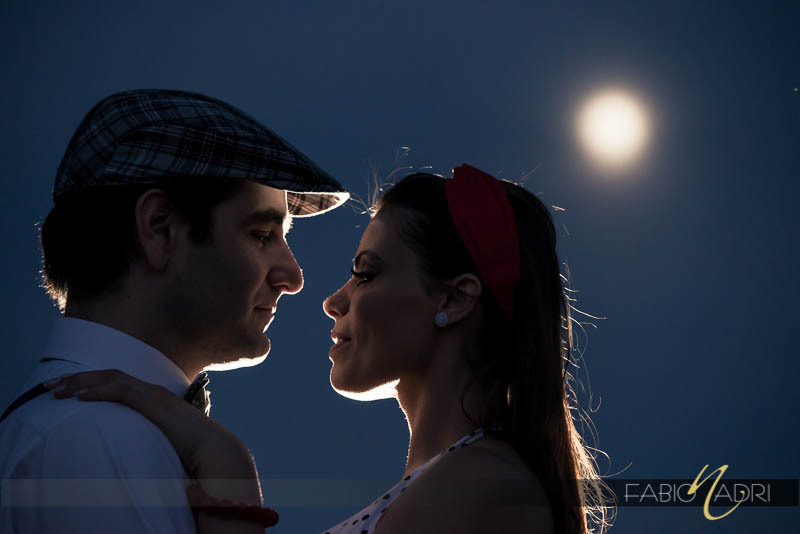 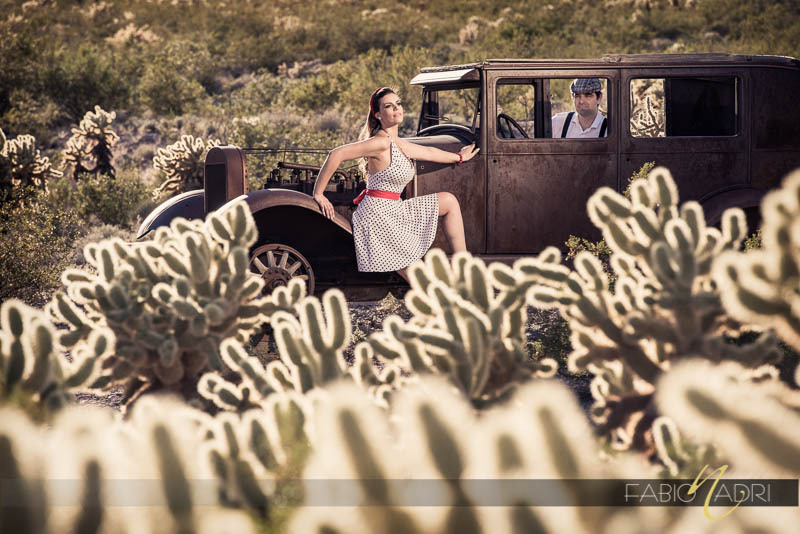 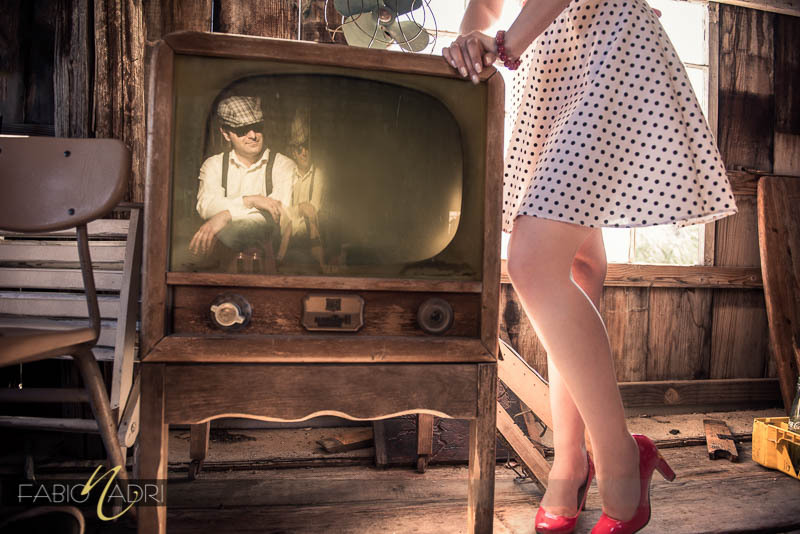 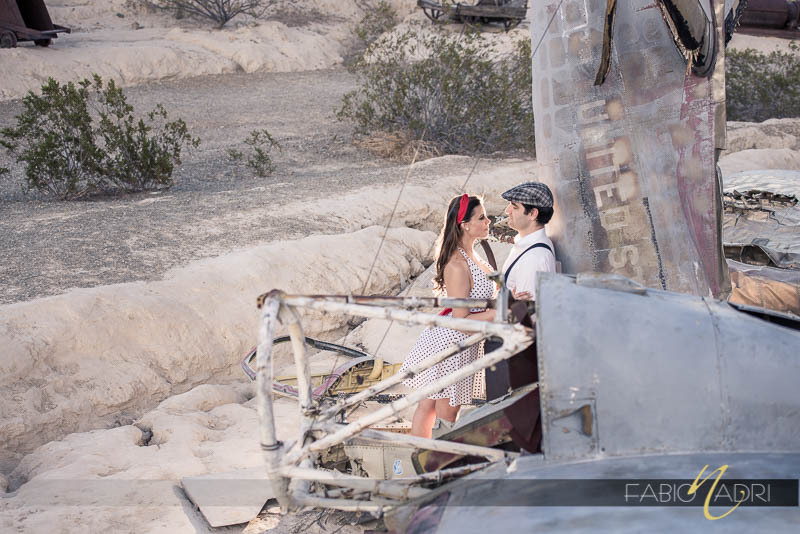 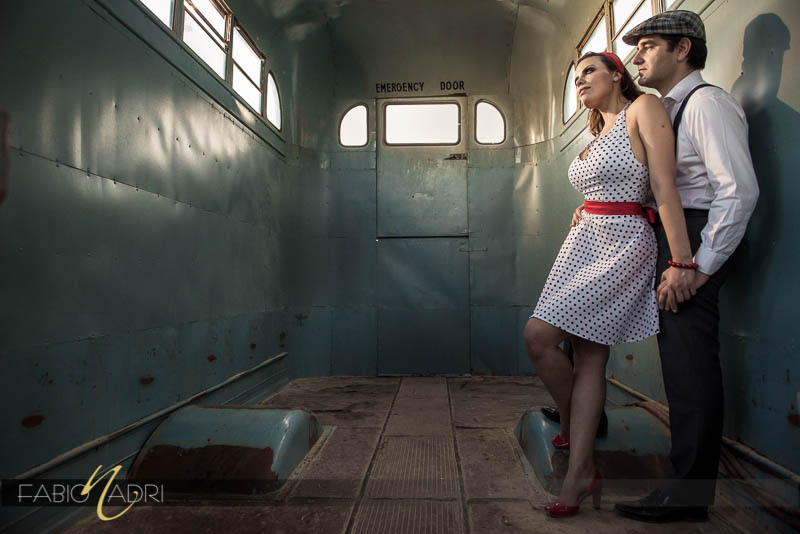 As you can imagine, when Isabel & Andrigo shared they were considering a Pin Up themed pre wedding photo session, we knew it would be the perfect fit for the vintage styled look we were going for. 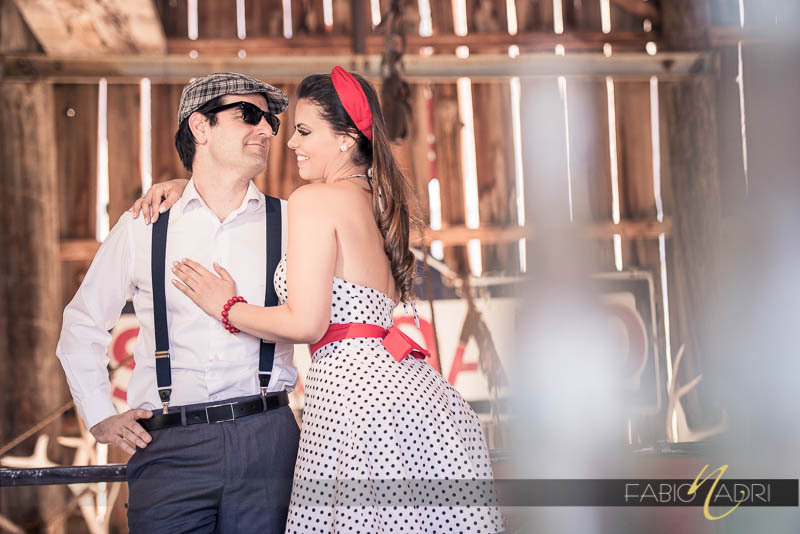 Isabel’s polka dot custom made dress looked fantastic with the red details. 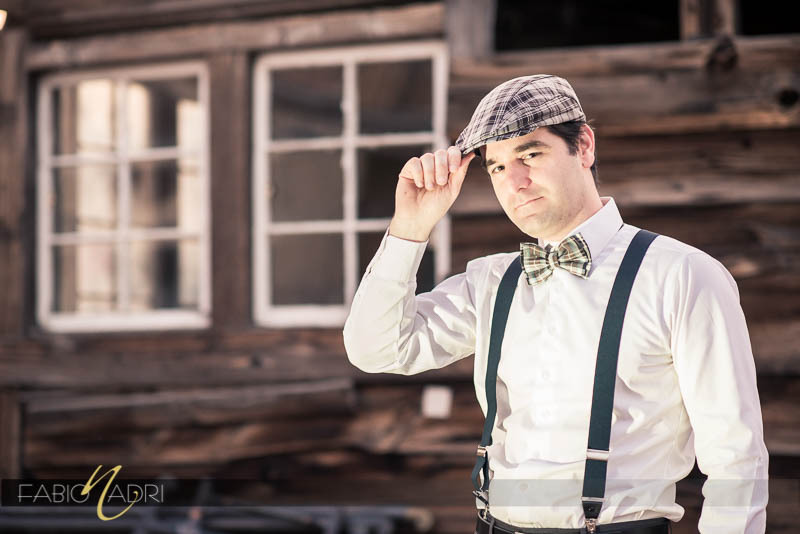 And Andrigo looked smashing as well with his classic plaid bow tie, suspenders and hat. 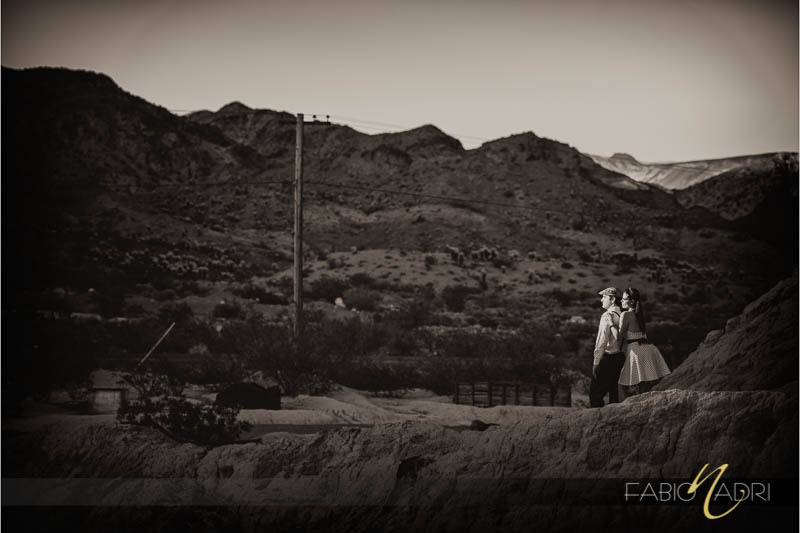 It surely helped them blend in with such a picturesque place, as if their were part of the landscape.